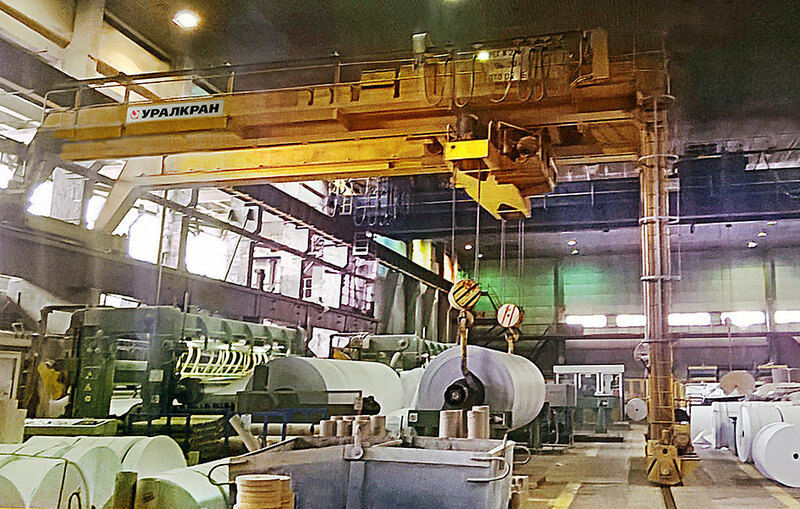 GC URALKRAN provides design, manufacturing, installation, maintenance, repair and upgrade of load-lifting equipment for pulp and paper, forest and timber manufacturing industry. Our solutions allow for effective and affordable implementation of specific operation tasks, increasing performance and ROI of the enterprise. Due to versatility of the systems, our equipment can be easily integrated into existing production lines and upgraded at any moment of time. Operating cranes for "dry" processes - rolling and transportation of rolls. Operating cranes for "wet" processes - employed for maintenance works, etc. Equipment for delivery of raw rolls for rereeling, automobile systems for intermediate stock-keeping. Equipment for portering in shops – including hoists for maintenance works, monorail hoists, etc. Erection, commissioning, maintenance and repair of the equipment. Project documentation development as per specific requirements. Single-girder and double-girder cranes for associated manufacturing processes. Suspended crane runway, providing raw materials transfer with shop. Console cranes (on the wall, column) for stock-keeping and small loads handling. Actuating gears moving raw material to "flying saw". Equipment for loading and unloading works. For each enterprise GC URALKRAN performs search for the most viable and effective solutions, including innovations, developed with the participation of manufacturers of industrial machines for timber manufacturing industry. Successful track record in the industry: more than 7 years.